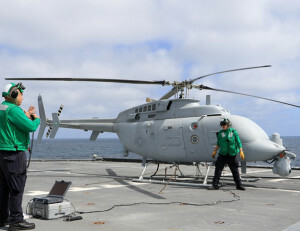 An MQ-8C Fire Scout unmanned helicopter conducts underway operations with an MH-60S Seahawk helicopter and the Independence-variant littoral combat ship USS Coronado (LCS 4). The new Fire Scout variant is expected to deploy with the LCS class to provide reconnaissance, situational awareness, and precision targeting support. Coronado is working with Air Test and Evaluation Squadron 1 (VX-1) to test the newest Fire Scout unmanned helicopter. Coronado is one of four designated test ships in the LCS class assigned to Littoral Combat Ship Squadron ONE. 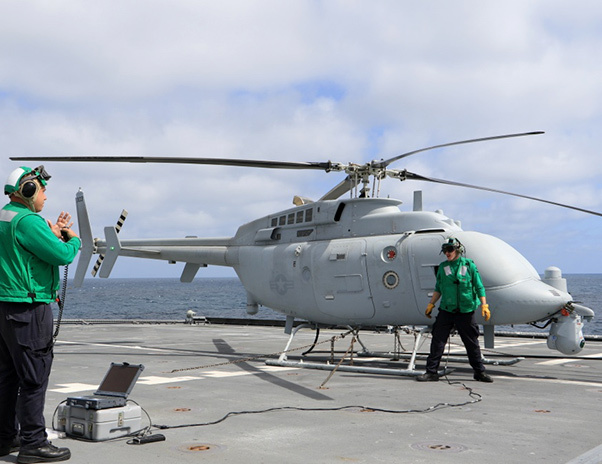 USS Coronado (LCS 4) and Air Test and Evaluation Squadron 1 (VX-1) completed the first comprehensive Initial Operational Test and Evaluation (IOT&E) for the MQ-8C Fire Scout, June 29. 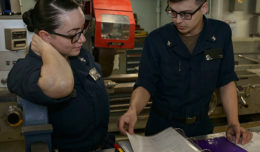 Sailors Aviation Machinist™s Mate Second Class Salvatore Green, a native of Garfield, New Jersey, left, and Aviation Electronics Technician Third Class Jake Price, a native of Cincinnati, Ohio, prepare the MC-8C Fire Scout to launch from the Independence variant littoral combat ship USS Coronado (LCS-4). 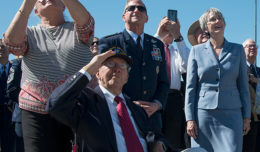 VX-1 Sailors embarked Coronado to conduct the first comprehensive Initial Operational Test and Evaluation (IOT&E) for the MQ-8C Fire Scout, the Navy™s newest unmanned helicopter. LCS is a high-speed, agile, shallow draft, mission-focused surface combatant designed for operations in the littoral environment, yet fully capable of open ocean operations. 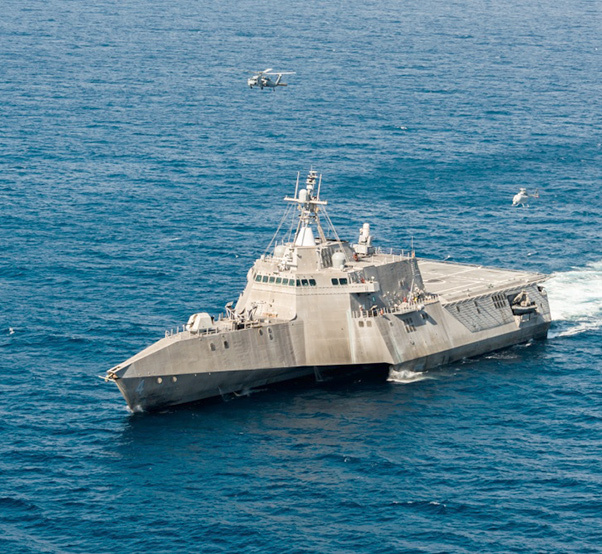 As part of the surface fleet, LCS has the ability to counter and outpace evolving threats independently or within a network of surface combatants.